It's been a while since I watched a movie that impacted me so deeply, and it's all due to Cuaron's brilliant depiction of women, family and emotion. My first Alfonso Cuaron movie was Harry Potter and the Prisoner of Azkaban. When I watch Harry Potter movies, I don’t go in expecting cinematic brilliance, it’s my love for the books and the familiarity of the story that captivates me. Yet when I watched the third movie for the first time as a 12 year old, I knew that something was different. Even the amateur film lover could detect that there’s a certain sense of darkness, reality and raw beauty in that movie that was never there in the first two, and was never recreated in the following ones. It was all Alfonso Cuaron and, years later, as I am left gobsmacked by his most recent movie, I can totally see why he was able to amaze the younger me. Five minutes into watching Roma, I knew I was going to regret not going to the theater. I watched the movie on my roommate’s Netflix account on a TV screen that was big enough to show me the potential yet not the real magnificence. I felt like I was cheating myself and the movie. But maybe it was for the best as I was saved from embarrassing myself in the theater with the way I was sobbing by the end of the 2 hours and 15 minutes of the emotional journey. Roma is the story of a family, their two maids, their dog, and their car in 1970/71 Mexico. The film’s protagonist is Cleo, the live-in housekeeper of the family, but I am sure she utters fewer words than most of the other characters. Halfway through watching the movie, my friend came by and sat next to me for five minutes and asked, “what is this movie about?” I paused and looked at her and then looked at the still screen for another five and realized that I couldn’t possibly explain. Roma is not about extraordinary events and doesn’t feature an intricate plot. I can try to blurb the story and will graciously accept defeat. The movie is just a story among many. Cleo’s story could happen to anyone, the family could be any family. There’s something so simple and understated about Roma, the same something that creates the magic and brilliance of its viewing experience. Cleo and Sofia – Cleo’s employer – are two women tied to one family, and whose lives are affected by the men they trust and love. Cleo lacks the education and privilege that Sofia has, which makes her story more sympathetic, and she is closer to us as the audience. While I felt sad when Sofia cried and cheered for her when she sold her husband’s car and bought her own, it wasn’t close to the utter devastation I felt for Cleo when she passively took everything life threw at her. Yalitza Aparicio, the non-professional actress who plays Cleo, is perfect, as she doesn’t act as much as she reacts, and fades into the background as things happen to the family while also being present in every moment. When I watched Cleo, I saw a housekeeper, loved yet used, sought after yet ignored. The movie is beautiful. Shot in black and white, each frame is set up like a poem, even when the shot is of dog poop or the destroyed streets of Mexico. I come from a third world country myself, and I could see streets and buildings from my own home in Cuaron’s portrayal of his home. The director’s legendary long shots make an appearance, especially the breathtaking scene at the beach that held my heart in a choke hold while drowning me in emotions. But what makes the movie ultimately a masterpiece is Cuaron’s understanding of women, family and emotions. 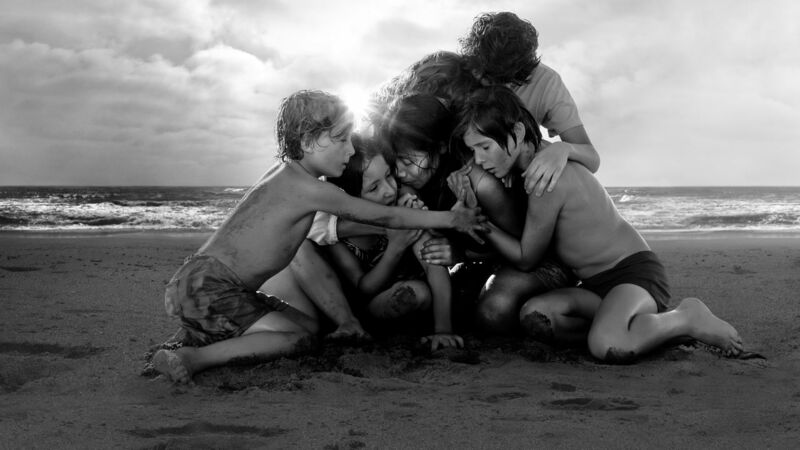 Roma is the kind of movie that will tug everyone’s heartstrings, but if you are a woman and from a marginalized community or grew up in a third world country like me, this film will definitely be extra special. It made me wonder whether I have ever been as blissfully ignorant as the younger kids of the family, oblivious to the struggle of the women around me. Have I noticed the trials of those who are less privileged, who don’t have a voice or don’t protest? How many Cleos have I met, passed by or loved, yet never thought about? As awards season is at its peak, Roma is getting a lot of credit and praise as it should, and I have never hoped for a movie to win Best Picture this fervently. Roma is a movie that should be celebrated, but the actual celebration should be for all the women and to all the Cleos who have lived for others and who have faded away without a voice. Want more stories from The Tempest? Sign up for our weekly newsletter here.